As I watch my attempt to grow barley wither into brown shrivels of failure, I prepare for next Spring. Winter means reading, research, and learning from my mistakes. I took a ton of notes and wrote quite a lot about my experience growing my own beer ingredients this year, but as much as I’ve learned, I’m still seeking something more comprehensive. There’s not a lot out there for the intrepid homebrewing soilophile. There’s a 1998 book, The Homebrewer’s Garden, by Dennis Fisher, which includes solid information, but spreads itself thin, trying to cover too many grains, herbs, and other sundry ingredients. It’s also 17 years old; a lot has changed in beer and brewing (hop and barley varieties, just as a start, never mind technology), making this guide feel a bit sepia tone when read by a member of the internet generation. Then come the Brewing Elements series from Brewer’s Publications. These four are a must read for any brewer (home or otherwise) who has even the tiniest inkling of interest in the science behind the beverage. But for the wealth of knowledge contained therein, these books are still fundamentally informational; For the Love of Hops contains a brief section on growing your own hops, but is moreso dedicated to the history and scientific workings of the cultivar. The same goes for the other three; excellent books, but lacking practical lessons. Anyone looking to (successfully) grow any beer ingredient at home likely has to turn to the internet (or, for you AHA members, old copies of Zymurgy Magazine). That’s not the worse thing ever, but correlating loose content from various websites can be as tedious as weeding an overgrown carrot patch. 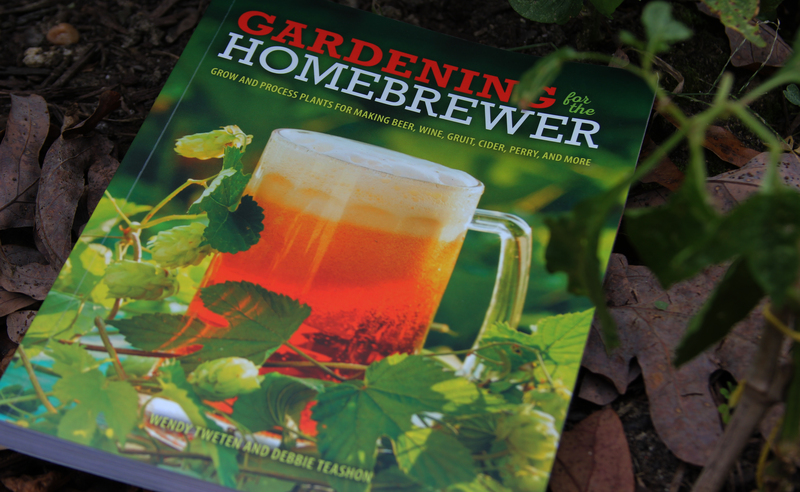 Fellow blogger Ed from The Dogs of Beer was kind enough to CC me on an offer for a review copy of Gardening for the Homebrewer. I happily wrapped my dirty little hands around the book, hoping for a spiritual update to Fisher’s work. Physically, the book is gorgeous: full-color macro photographs that look good enough to scratch and sniff, color-coded text boxes with faux-decoupage flair, near-perfect formatting that organizes the content brilliantly. It’s really a pleasure to read, and the visuals don’t detract from the writing itself. While written by two people, it reads in one coherent voice, offering direct explanation and guidance with little pomp or fluff. It’s broken into distinct sections over seven chapters, starting with a basic primer on gardening that’s simple enough for a total rookie, but also contains just enough for the journeyman. Chapter 2 covers beer, but only spans 25 pages. The malting process is described across two pages, with no images or sundry information to guide the reader. If you are looking for a book on the basics of beer before it’s even near the kettle, this has some good information. If you were looking for a more comprehensive guide to barley, malting, or troubleshooting the latter, keep on searching. More than half of the book is dedicated to “other” which in this case means grapes, berries, herbs, apples, pears, and more. Much like Fisher’s book, Gardening for the Homebrewer reads an inch deep and a mile long. Trying to cover all these plants and ingredients is an admirable goal, but it leaves a lot of questions unanswered, and readers like me wanting more. From their bios on the last page and a quick Google, it’s clear that both Tweten and Teashon are very accomplished gardeners. What is unclear is if they are homebrewers (or have ever homebrewed). While all of the information presented is factually correct, there’s a sort of disconnect in the exposition, as if they are more focused on the plants than their role as an ingredient in the brewing process. That could be my beerish romanticism pontificating and not an actual flaw, but it’s worth noting there’s next to no brewing-related content in this book. Suggestions for what beverage the plant might go best in, but not a lot about when or how to include it in a typical brewing/fermentation process. 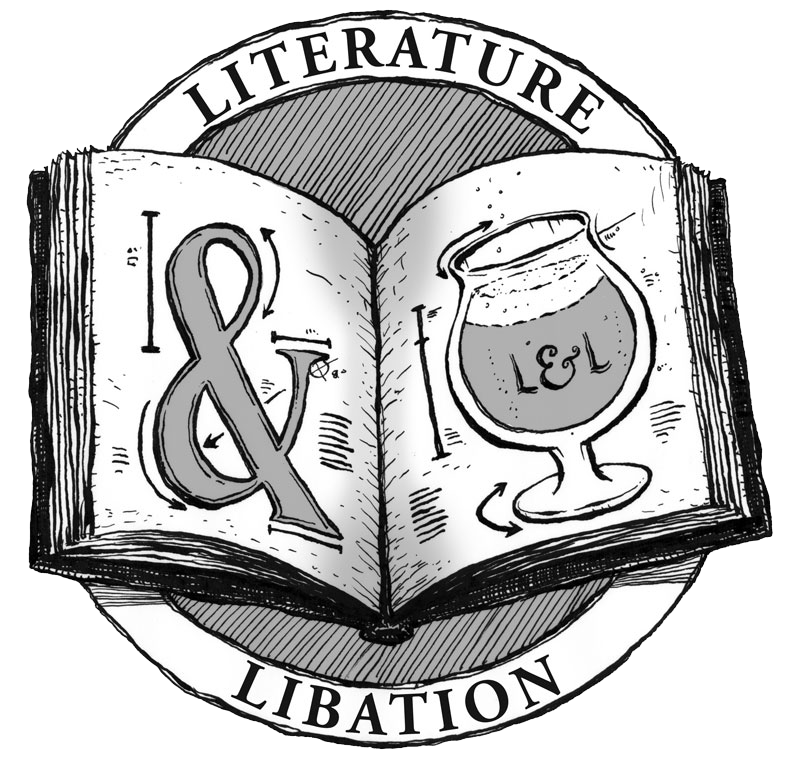 Regardless of their identity as brewers, the co-authors do a fantastic job of outlining some of the most practical (and sometimes hard to find, even with a black belt in Google-fu) details of growing. Simple but integral details like appropriate USDA growing zone, spacing, and pruning are included for every plant. Most even have a picture of the mature plant, a surprisingly helpful addition for someone who starts with a handful of seeds and isn’t entire sure what elderberry is actually supposed to look like. Despite not having what I was looking for, I enjoyed this book, and will continue to use it as a reference. The overview of growing conditions are worth the price alone (there are 52 total, ranging from mint to plums), and the rather thorough section of cider apples taught me a lot I though I already knew (but apparently didn’t). More a book for gardeners who like brewing-related plants than brewers turned gardners, but well written, edited, and presented nonetheless. Sounds like a nice book, if a little misleading. It would have nice if it had been written slanted more towards actual homebrewing with the points you’ve mentioned. 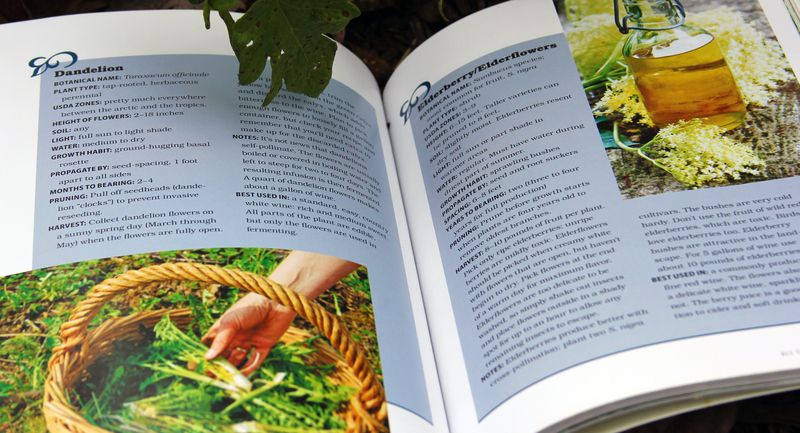 I also find it interesting that the photo you included shows the pages for Dandelions and Elderberries, and speaks to both their uses in wine and cider but not beer. Although I realize I run the risk of being to constrained with my definition of homebrewing.